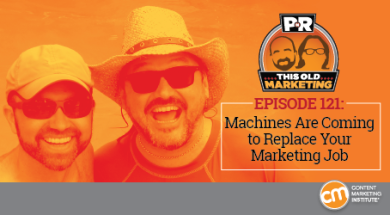 In this episode of This Old Marketing, Robert and I ponder some new research that suggests certain types of marketing jobs will be replaced by machine automation within a decade. Is your job at risk? Next, we discuss the implications of Viacom’s new branded content agency and get excited about the storytelling potential of Facebook Canvas. Finally, we’re fascinated by the BBC’s research into “atomizing” news stories and enabling readers to choose their own deep exploration paths through them. Rants and raves include Chick-fil-A’s clever “cell phone coop,” one LinkedIn group admin’s heavy-handed solution to self-promotion, and Rita Gunther McGrath’s analysis of Yahoo’s problems. We wrap up the show with an example from Miller Electric. Half of all marketing jobs will be replaced by machine intelligence (4:09): This article from MartechAdvisor summarizes recent research into the growth of machine intelligence, and what its impact on marketing could potentially be. Its conclusion: Marketing strategy and planning positions will not be at risk, but supporting tasks will be. According to the study, which was published by the U.S. Department of Labor, market research analysts and marketing specialists have a 61% probability of being replaced, and technical writers, 89%. Robert insists that the jobs where we can add unique value through creativity will never be replaced by machines. I caution that this technology will be upon us much faster than we expect, so be prepared! Viacom launches branded content agency (14:21): Viacom believes it has the creative expertise and distribution footprint to help advertisers go beyond the standard commercial. That’s why it recently launched the Velocity Content Network, a 20-person, in-house unit that will create and distribute branded content across social and digital platforms as well as TV. Robert views this as yet another step in the disintermediation of big media agencies, as advertisers and networks increasingly work directly with each other. Introducing Facebook Canvas (21:11): Facebook has launched Canvas, a new post-click, full-screen, immersive mobile ad experience that loads very quickly on mobile devices. Robert and I agree that this is much more than a new advertising platform. Brands can use it to tell stories in new and unique ways. It will make Facebook much more experiential and should enhance brands’ ability to pull viewers into their owned media properties. Elastic news: Skimming, digging, and using content (26:28): This BBC blog article explores the network’s efforts to create a mobile app that enables users to consume news in bite-sized chunks, and empowers them to drill down to additional details of their choice via multiple paths of information. The results of these experiments are fascinating. I believe this experiment is a glimpse into the future of journalistic news production. Robert points out that it takes a significant amount of human effort to figure out the content flow for something like this. For that reason, it probably won’t be used to convey breaking stories. 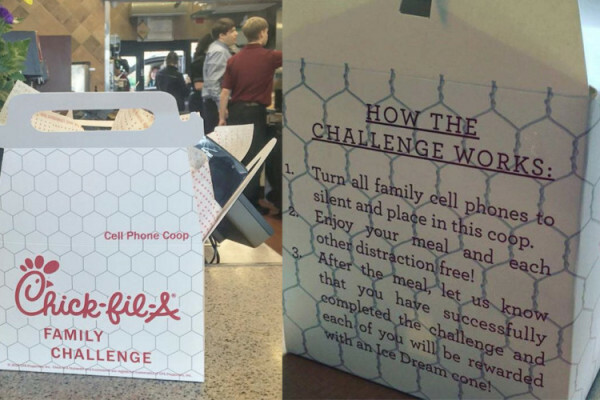 Joe’s rave and rant: I love this article from Simplemost, which describes how select Chick-fil-A restaurants are encouraging customers to put away their mobile phones while eating. Families that put their phones in a small box called the “cell phone coop” get rewarded with free small ice cream cones. My rant comes from the Content Strategy group on LinkedIn, where the moderator has decided to put participants on moderation if their job titles contain marketing, advertising, or PR. Her goal is to eliminate self-promotional posts in the popular forum, but this approach seems a bit heavy-handed, in my opinion. Robert’s rave: Robert is a big fan of Rita Gunter McGrath, author of the book, The End of Competitive Advantage. In her most recent newsletter, she analyzes Yahoo’s business challenges and how they relate to her theory of disengagement – the methods a business can use to dispose of eroding business units. Robert believes this concept of disengagement also applies to content marketing initiatives, and he explains how. Miller Electric: Miller, a leading manufacturer of welding equipment, is obsessed with understanding the needs of its customers. Because of the quality content Miller has provided to its customers for many years, they now look to the company for information that can help them with their most critical business issues, including reducing welding costs, increasing productivity, operator efficiency, and equipment purchase justification/ROI. 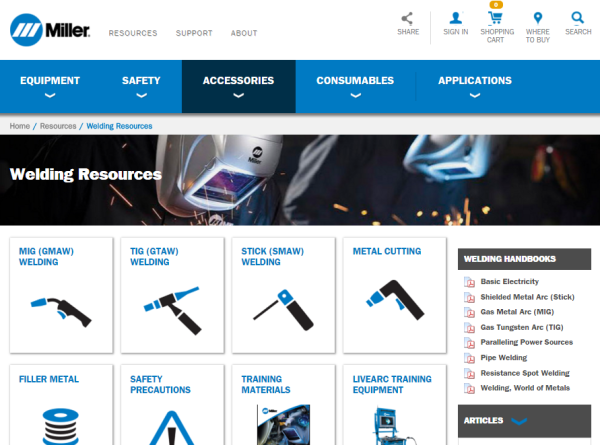 A look at the home page of their website demonstrates how Miller Electric employs a content-first approach. Much of their website is devoted to educational content with some product promotion mixed in. Clicking on the resources section of the website reveals a comprehensive collection of information that can help visitors solve just about any welding challenge. It also includes other resources including welding calculators and video training. 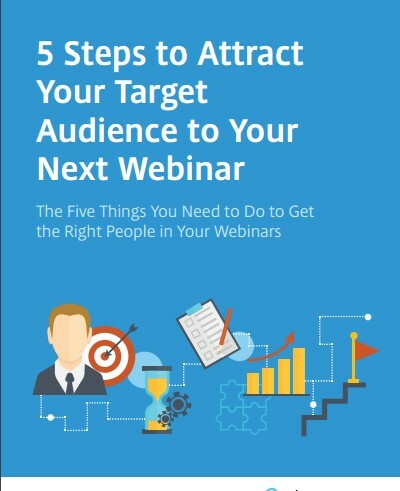 I urge anyone in B2B to visit this website to learn from Miller’s approach to content marketing. It’s an excellent example of #ThisOldMarketing.